Everyone is searching for a Brigadoon. To enjoy what you're doing, to be creative in the doing, and to be able to use your gifts and talents, that's our Brigadoon. Here at Brigadoon Winery we are transforming our surroundings little by little with much hard work, perseverance and patience to reflect the natural beauty of Northern Wisconsin. It's a life's work, a labor of love and like wine, cannot be rushed. 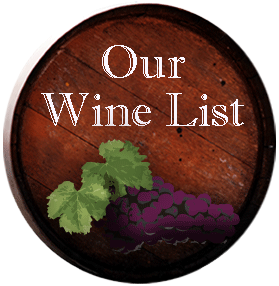 We produce grape wines, fruit wines and dessert wines for your enjoyment. Local fruit is used whenever possible and we continue to work on our own vineyard and plans for future fruit production here at our farm. Sit back and enjoy our slide show. We invite you to read our yearly newsletter and grow with us. But most importantly, we invite you to come and...Enjoy our Brigadoon. Wine tastings are available year round, for a small fee of $3.00 per person. Tours of the winery are available by appointment only, for a fee of $2.00 per person. Please call ahead to schedule your tour, 715-564-2280. Kick off the summer with our 4-day Memorial weekend open house. Play Wine-O-Fortune and win a prize. Do a wine tasting or browse our gift shop. We have gourmet ice cream, deli trays, beer, wine, soda and outdoor seating. Bring your own lawn games for the kids. Out in the Country event here at Brigadoon Winery from 10:00am to 4:00pm. Support the Wounded Warriors in Action Foundation with a $5.00 admission fee for which you receive a Brigadoon Winery souvenir glass. For an additional $2.00, guests may choose from Summer Blush wine or a specialty beer. Enjoy the outdoor arts and crafts booths on the beautiful winery grounds. Local Veterans will be serving burgers, hot dogs and brats on site. Have some gourmet ice cream or Italian specialty cakes. Take part in the Silent Auction. Winners of the Auction will be announced at 4:00pm. (Prizes will not be mailed.) 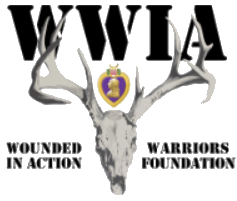 WWIA serve our Nation's combat-wounded Purple Heart recipients by providing world-class outdoor sporting activities as a means to recognize and honor their sacrifice, encourage independence and connections with communities, and promote healing and wellness through camaraderie and a shared passion for the outdoors. Proceeds from "Out in the Country" will directly support WWIA events at Camp Hackett, 410 bountiful acres of land located in Price County. Play Wine-O-Fortune at our 4 day Labor Day open house. Take a chance to win wine and enjoy those last lazy days of summer sitting on the deck or stretch out on the lawn. Try our deli trays, gourmet ice cream, beer, wine or soda. Bring your own lawn game. Enjoy a wine tasting and browse our gift shop and enjoy our Brigadoon.